H.E. Hon. 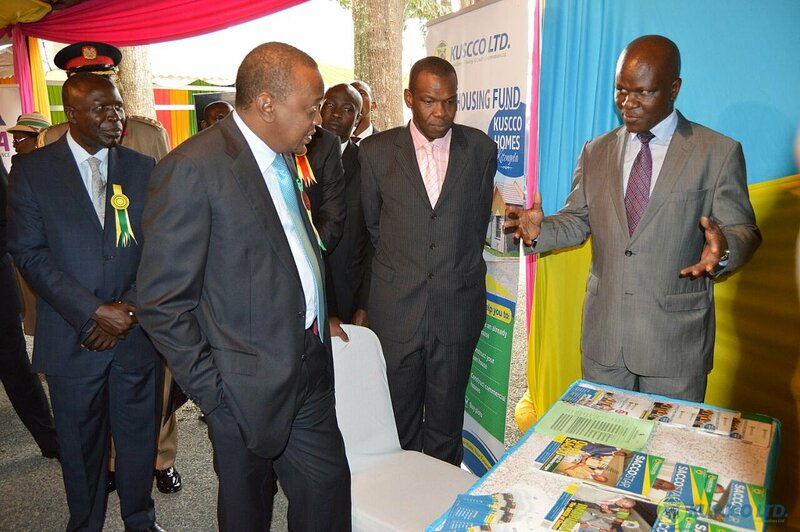 Uhuru Kenyatta C.G.H., President of Kenya, at the KEPSA stand, in the Nairobi International Trade Fair, where George Ototo, Managing Director, KUSCCO Ltd, explains the Union’s products to him. Looking on are Hon. Willy Bett, Cabinet Secretary, Ministry of Agriculture, Livestock and Fisheries (left) and Timothy Odongo, KEPSA Membership Officer (right). H.E. Hon. 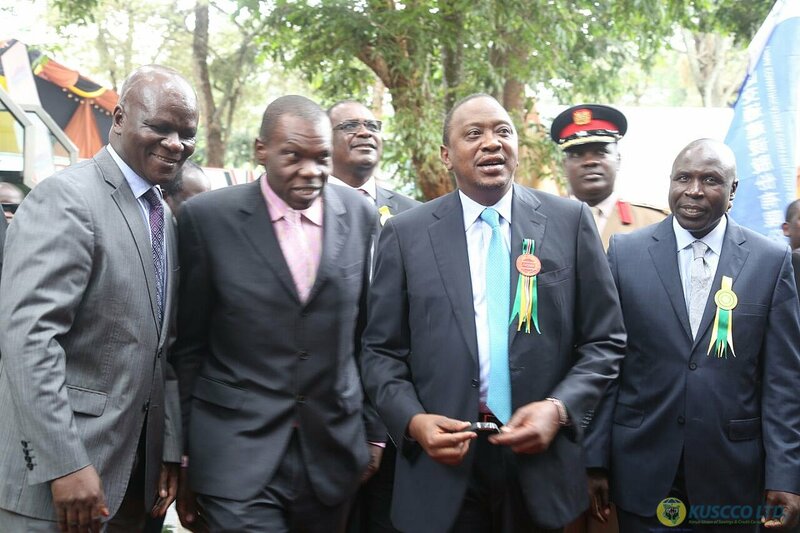 Uhuru Kenyatta C.G.H., President of Kenya with George Ototo, Managing Director, KUSCCO Ltd, (far left), Timothy Odongo, KEPSA Membership Officer and Hon. 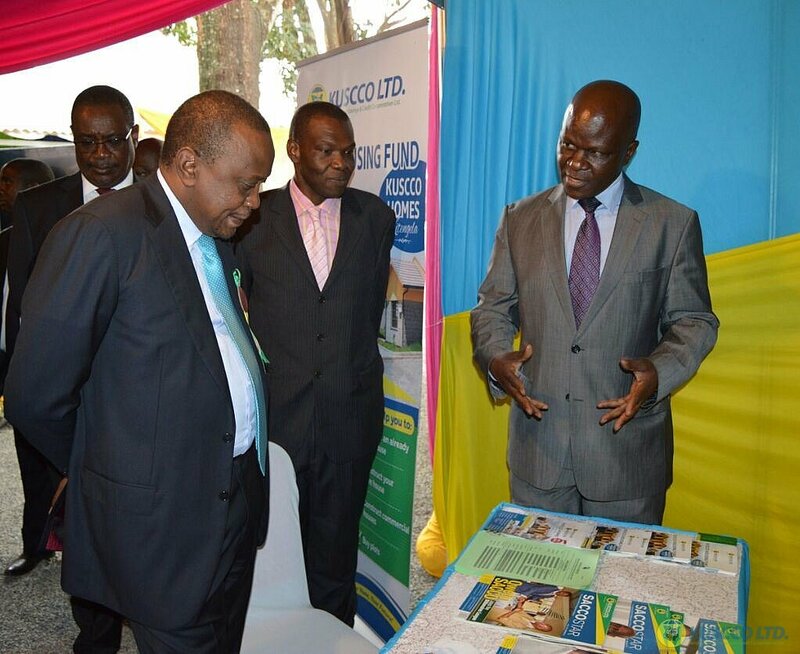 Willy Bett, Cabinet Secretary, Ministry of Agriculture, Livestock and Fisheries (far right). Looking on is Hon. Dr. Evans Kidero, Governor, Nairobi County, at the KEPSA stand during the Nairobi International Trade Fair. H.E. Hon. 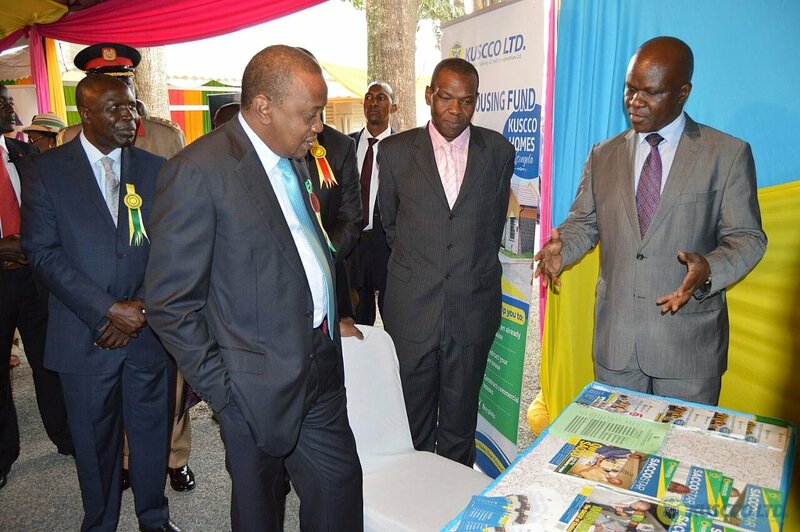 Uhuru Kenyatta C.G.H., President and Commander in Chief of the Defense Forces of the Republic of Kenya at the KEPSA stand, in the Nairobi International Trade Fair, where George Ototo, Managing Director, KUSCCO Ltd, explains the Union’s products to him. Listening in are Hon. Dr. Evans Kidero, Governor, Nairobi County (left) and Timothy Odongo, KEPSA Membership Officer (right). 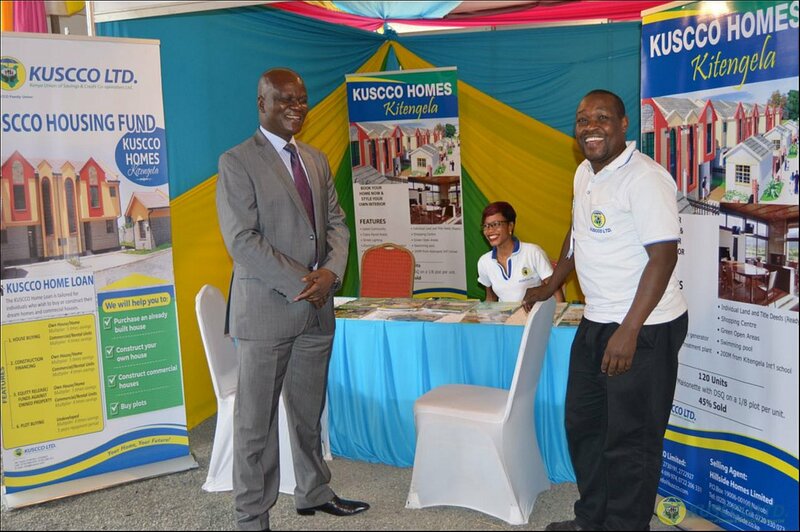 From Left: George Ototo, Managing Director, KUSCCO Ltd, Redempter Aguk, Marketer, KUSCCO Housing Fund and Ronald Ambooka, Marketer, SACCO Star at the stand during the Nairobi International Trade Fair. 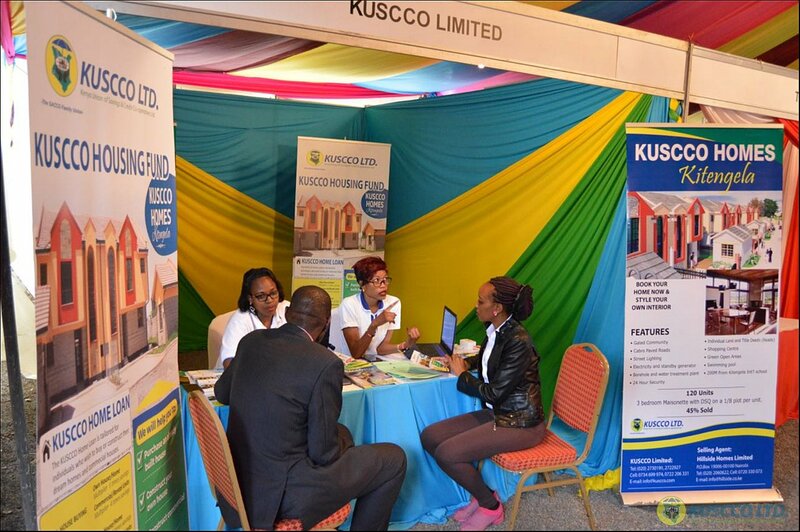 Marketers Lena Makena and Redempter Aguk of KUSCCO Housing Fund, talking to clients at the KUSCCO stand during the Nairobi International Trade Fair.